Like any sport, golf features an aspect of competitiveness among the participants. 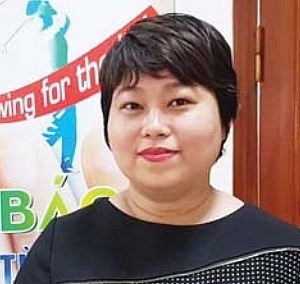 However, at the Swing for the Kids tournament, the sport is considered a bridge ­connecting people from many localities, operating across many fields, but ­sharing the same ­passion for volunteering. 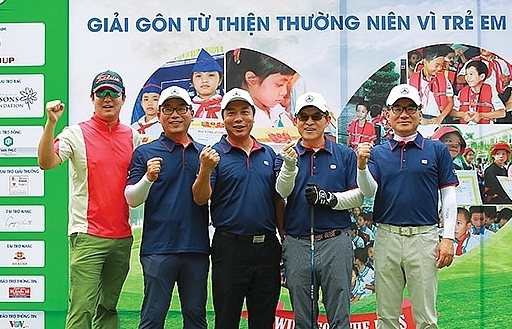 Former Deputy Prime Minister Nguyen Manh Cam has been the Honorary Chairman of VIR’s Swing for the Kids golf tournament since its inception in 2007. 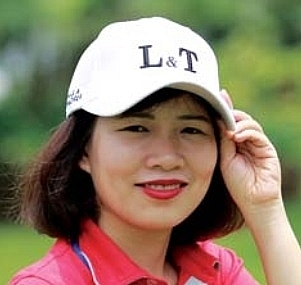 He is also known nationally as the godfather of the Vietnamese golf industry. 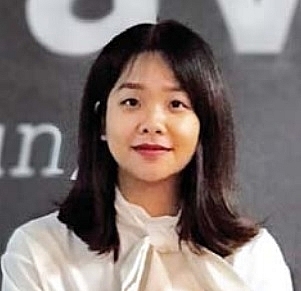 For a long time Cam has strongly supported the participation of businesses in corporate social responsibility, especially in the field of education promotion. According to Cam, providing funding for education is the most important basic charity activity as it can determine the future of a country. Such charity programmes aimed at disadvantaged children, including the high-achieving students supported by Swing for the Kids, play an important role in the development of the whole nation. 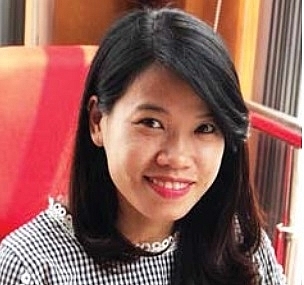 Former VIR editor-in-chief Nguyen Anh Tuan and his successor Le Trong Minh have made great contributions to maintaining, building the name, and creating a reputation for the tournament despite the fact that neither actually plays golf. In addition to the fierceness and perseverance of members of the organising board, the most important determinant for the sustainability of a tournament is positive support from sponsors and golfers. Some sponsors have accompanied Swing for the Kids from day one through the journey of granting scholarships, such as BRG, SeABank, Vingroup, and KinderWord Education. 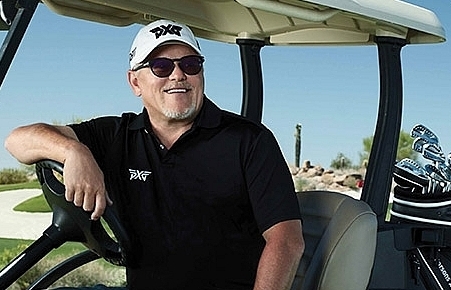 Similarly, some golfers have been with the tournament for many years, deciding to stick with Swing for the Kids as sponsors and supporters after they came to understand its social significance and humanity. For members of the organising board, the joy of each season’s success is not just the amount raised for the Swing for the Kids scholarship fund, but also the hundreds of delightful interactions by the participants. 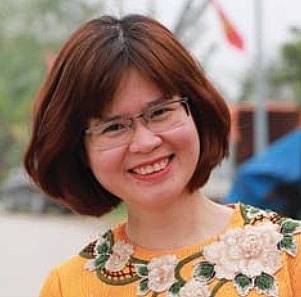 Le Trong Minh, along with being VIR editor-in-chief, is also head of the event’s organising board, and has shared some emotional stories that he has witnessed over the years. He says that people visiting BRG Kings Island Golf Resort (Dong Mo, Son Tay district, Hanoi) for the event will be in for a pleasant surprise. From beginning to end, sunny smiles adorn the faces of golfers, together with the enthusiastic handshakes given out from the check-in hall to the golf course, and at the gala banquet hall at the end of the day. Just like last year, the 19th hole is an exclusive location for dramatic play-off rounds, perched on top of a waterfall and overlooking a large lake away from the greens of Kings Course posing plenty of challenge for golfers. 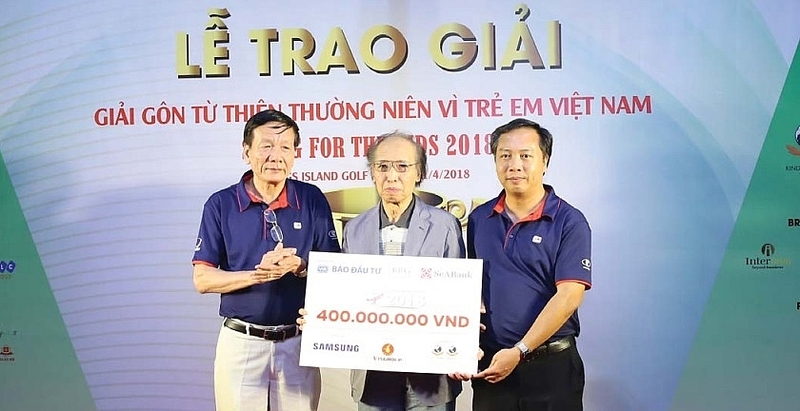 The organising board placed a donation box at the hole so that after each stroke, the golfers could directly donate VND500,000 to the scholarship fund. There were players who participated in the hole three times but donated four lots of money. There were also golfers who, right after receiving a prize, returned it to the scholarship fund. Today, Swing for the Kids is one of the few charity golf tournaments that has earned a reputation and resonance amongst golf enthusiasts. For participants, the event is like an annual special appointment at which they must be present. They have the opportunity to meet old friends, play golf, and work together for a noble cause. Over 13 years of growth, the charity tournament has increasingly expanded in scale and spread its influence. I am impressed that the Swing for the Kids annual charity golf tournament has entered its 13th year. This is a very meaningful programme aiming to support the young generation. 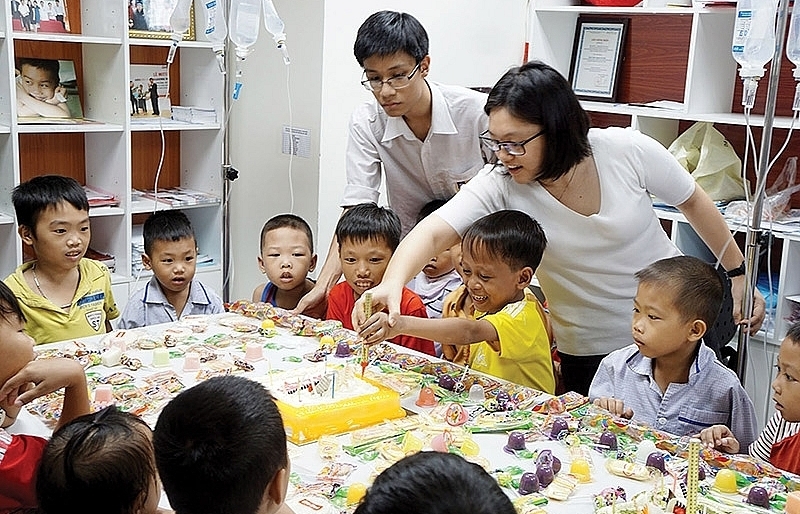 Over the past 12 years, Swing for the Kids has been raising funds and granting a considerable number of scholarships to disadvantaged students across Vietnam. However, considering the aspect of a sporting event, I suppose that talents should also become an object to receive support. I hope that in the following editions, Swing for the Kids will pay more attention to the children who have potential in sport but have few opportunities to practice. 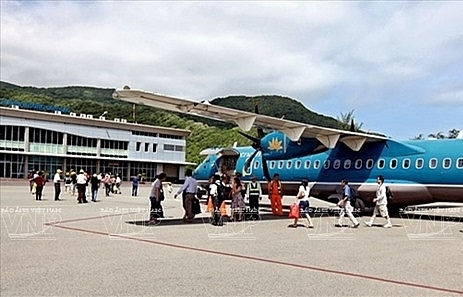 I believe the programme will certainly continue to be more and more successful on an even larger scale in the future. I have been covering VIR’s Swing for the Kids since its first season and I see that one of the factors contributing to the distinction and prestige of this tournament is what it aims at. Swing for the Kids is not simply a place where golfers compete, but it’s also where humanity is spread by raising the Swing for the Kids Scholarship Fund via large sponsorships from philanthropists. 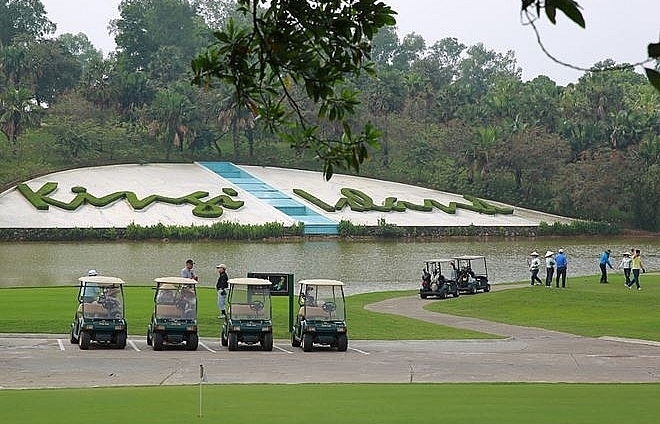 Golfing is fairly new and not yet popular in Vietnam as lots of people consider it a luxurious sport. 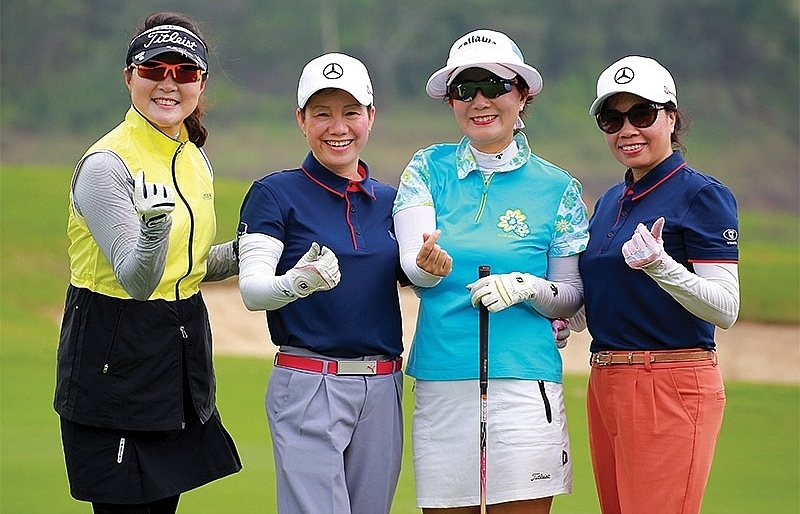 However, being a charity golf tournament full of humanity, Swing for the Kids has helped narrow the gap between golf and the Vietnamese community. Such a meaningful event should be encouraged and developed, I believe it will achieve even greater successes in the future, giving the young a chances to pursue their dreams. Swing for the Kids is a very large, prestigious, and impactful charity golf tournament. 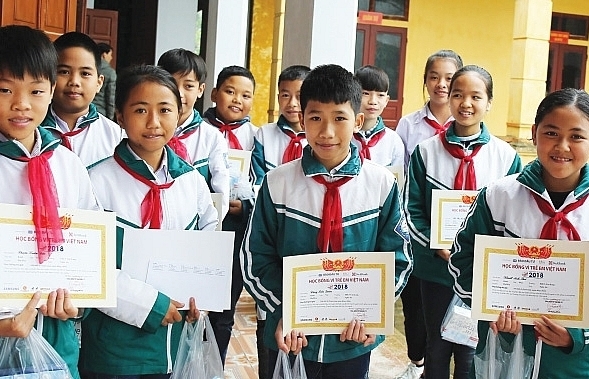 This annual event plays the role of a bridge connecting sponsors, benefactors, and disadvantaged children in Vietnam, helping them with their education by not only providing materials but also spiritual values. Hopefully in the coming years organiser will expand the scale of Swing for the Kids to create an environment attracting more female and international golfers to bring the tournament to new heights. The sense of community is the most meaningful message that the tournament has spread. There have been very few golf tournaments which have long-term and regular charity activities, and this is something we should encourage and stimulate. There have been a number of golf tournaments with charitable purposes but in terms of scale and reputation, Swing for the Kids is amongst the most prestigious tournaments. VIR’s Swing for the Kids has been receiving much attention and support from businesses and philanthropists. The tournament has a significant humanitarian meaning by promoting the future of Vietnamese children and the development of the country.